Wow, it's been two weeks since my last post! Sorry about that, we've been crazy busy on the home front. Plus, now the kids are out of school for Spring Break this week and there's hardly been a dull moment at my house in the last few days. I actually planned to share a recipe for some delicious skillet dinner rolls I baked last week with you all today. The plan is to have a video to go with the blog post too. 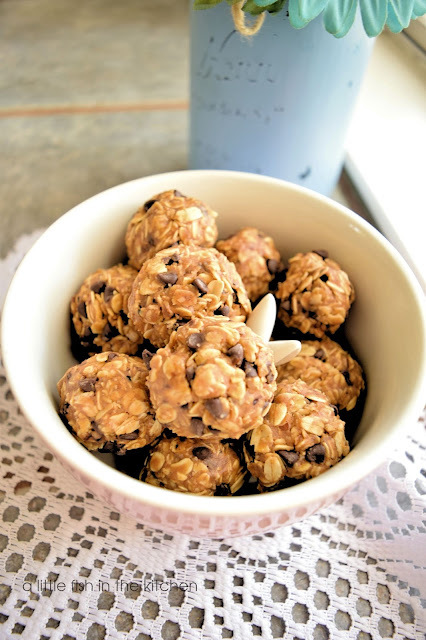 In the meantime, I wanted to check in with you all, say "helloooo" and share a super simple recipe for these no-bake oat energy bites with peanut butter, maple and of course, chocolate chips! Yes, we've still been on our chocolate chip kick here and there's really no sign of this trend slowing down here, so I hope you're loving it as much as we are. 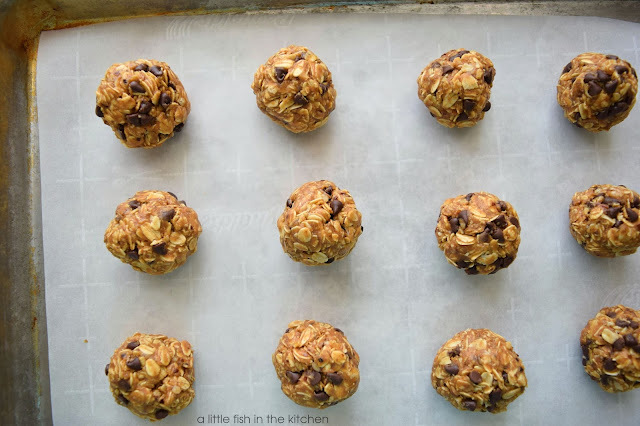 These no-bake energy bites are a new favorite snack, and I must say I'm pretty happy about it. Just a handful of ingredients is needed to make these easy treats. Best of all, it's not even necessary to heat up the kitchen to have these hearty, little munchies ready for snacking in less than an hour. These oat energy bites are also gluten-free, have a healthy portions of protein and fiber, and are relatively low in sugar. These are just a feel-good goodie, in my book! I've provided a nutritional break down below for this recipe from VeryWell.com for you all to refer too. I sure hope you all are having a terrific Spring Break and enjoying little rest and relaxation with your family! 1. Line a baking sheet with parchment paper and set aside. Combine all ingredients, except chocolate chips, in a large mixing bowl and stir with a wooden spoon until ingredients are well-combined. Fold chocolate chips into the peanut butter mixture. 2. Roll the peanut butter mixture into tightly packed, 1-1/2 inch-sized balls and place on the parchment lined cookie sheet. Refrigerate for 30 minutes before serving. 3. Enjoy! Keep refrigerated in a covered container for up to one week. What's not to love those awesome energy bite! It has everything I love, Marcelle. 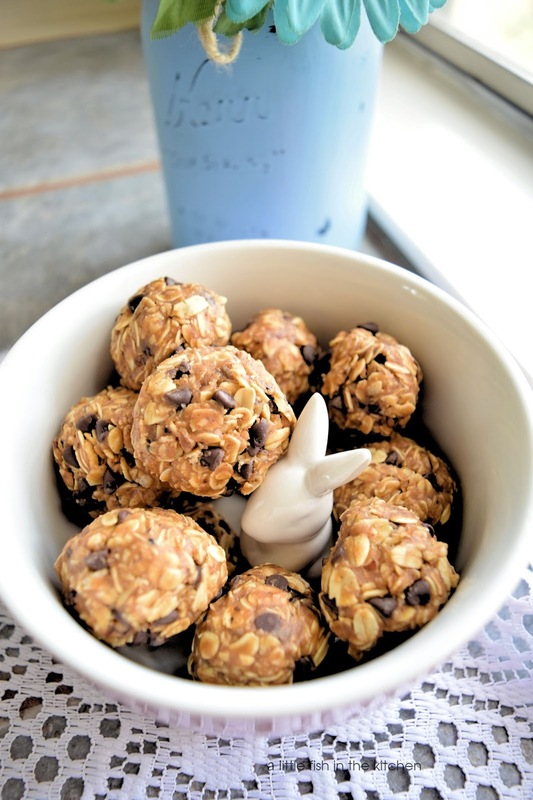 I have never made a “no-bake” cookie or bar, but these appeal so much for work snacks! I want to try them! it's always a good sign when i could eat each of the ingredients of a dish on their own, and that's the case here! yummy balls!! Mmmm, these look good! 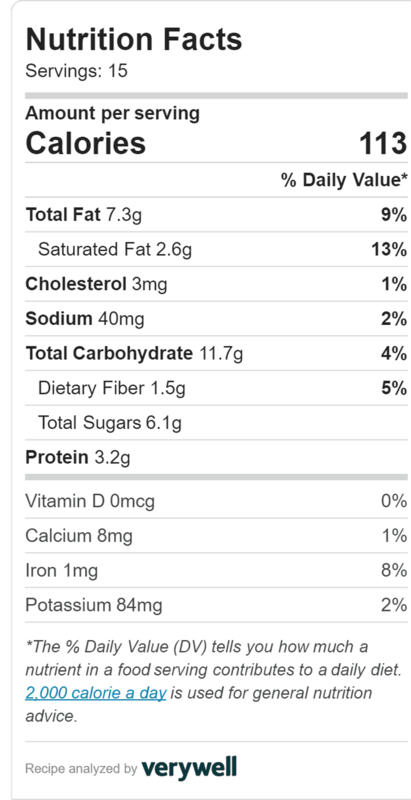 Oats Chocolate? Peanut butter? Terrific trio of goodness! Good stuff -- thanks. I LOVE ENERGY BITES. THE MAPLE IN THESE IS A NEW TWIST FOR ME. I'M ANXIOUS TO TRY THEM. THANK YOU FOR SHARING AT FRIDAY FRENZY.